Guide price 315,000 - 325,000. 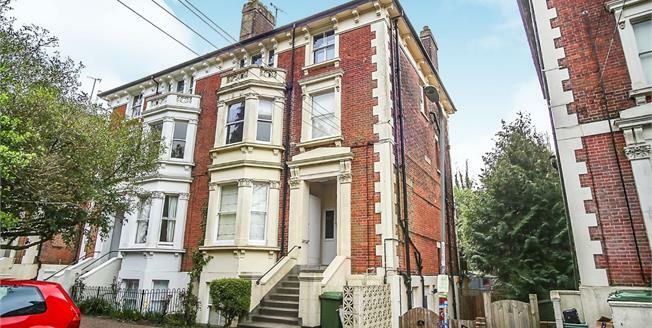 Freeman Forman are delighted to present this exceptional period one bedroom ground floor apartment, which was formally a two bedroom property before the kitchen was enlarged. The property offers a wealth of period features including high ceilings, bay windows and fireplaces. The property boasts a superb private balcony which is accessed via the main reception room and is ideal for entertaining. The accommodation includes an entrance hall, a large double bedroom, kitchen with potential to divide back into a bedroom, large sitting/dining room, and a beautifully refitted bathroom. The property benefits from a gas central heating system and is located within a few minutes walk of the Pantiles and the mainline railway station. The property has a share of the freehold and residents parking, further information regarding the service charge and lease is available via the vendors sole agent Freeman Forman.